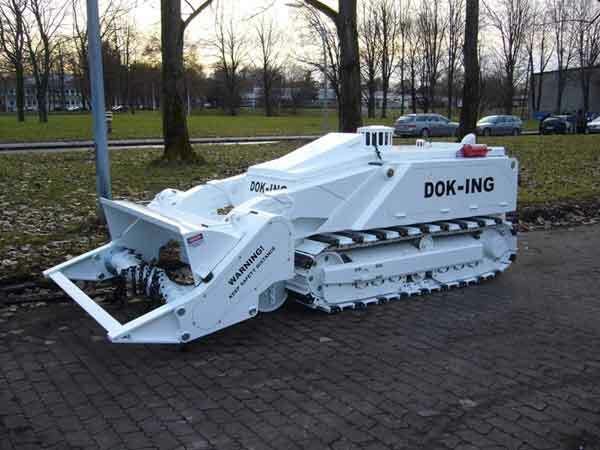 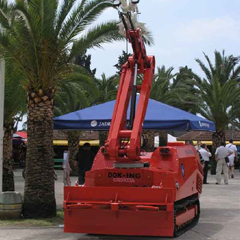 Mine Clearance System | Mine Laying And Mine Disposal | Dok-ing D.o.o. 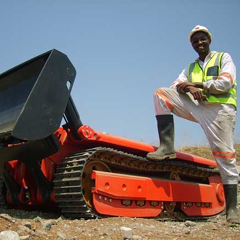 Mechanical Mine Clearance is one of the five core components of mine action. 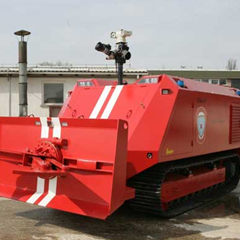 It includes surveys, mapping and minefield marking, as well as the actual clearance of mines from the ground which is done by remote controlled system. 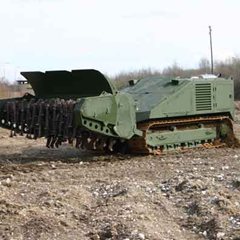 The MV-4 Remote Controlled Mine Clearing System is a tracked remote controlled system designed exclusively for mine clearance purposes, for all types of anti-personnel (AP) mines .This Remote Controlled Mine Clearing System is suitable for demining of house yards, woods, forest paths, river banks and other types of terrain that are inaccessible to larger mine clearance systems.